Hitman 2 has been out for a while and it is a fantastic game with an almost overwhelming amount of content and the game has been getting updates with new content every month since release. 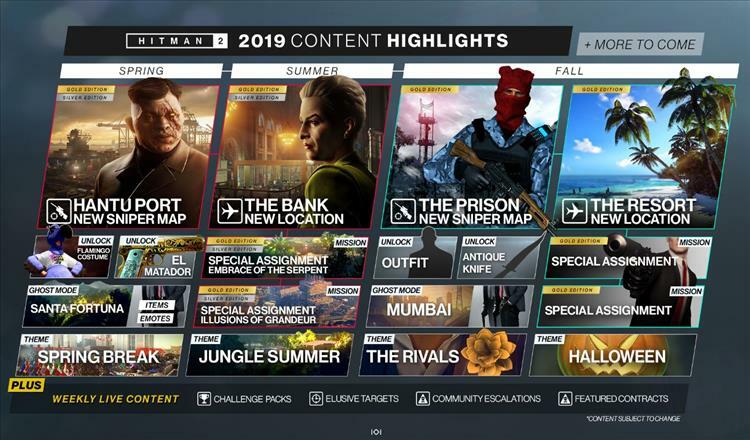 There is still a ton of content to be released and IO Interactive has released a roadmap giving the rundown of all of the content coming for the rest of the year including new Ghost Mode maps, Campaign Maps, Sniper Assassin Maps, Special Assignments and tons of other content. Here is just a small rundown of whats coming. Be sure to check out the official roadmap below or at Hitman 2's official website for all of the content being released in 2019.